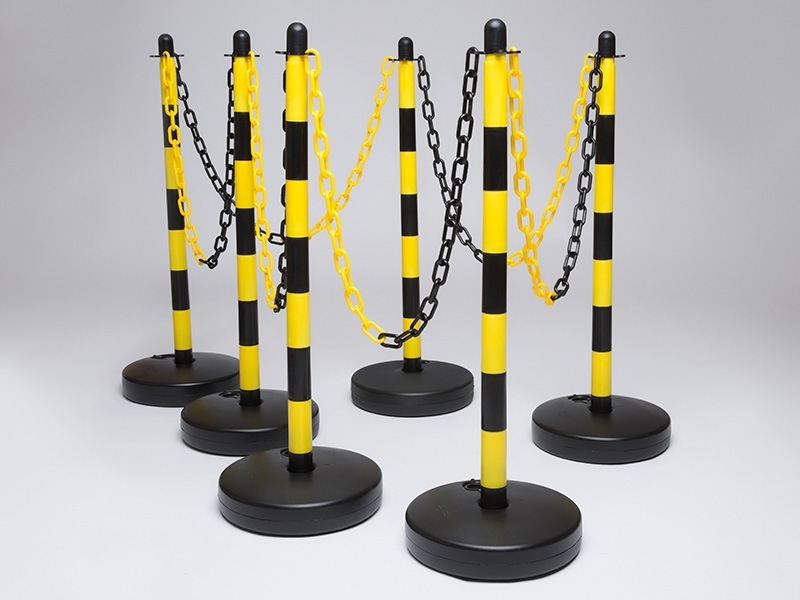 In some cases, having a sturdy barrier system means leaving it where it is once it's erected, but this isn't so with the water base 6 post plastic chain kit. This water base kit comes with posts that can be filled with either water or sand to increase the stability of the plastic bases. Additionally, this makes them easily transportable by simply removing the filling and then carrying the lightweight plastic barrier posts and chains elsewhere. Where can this barrier kit be used? Ideally designed for exterior use, these kits are built mindfully for the companies that have a lot of use for temporary barriers throughout their lives. 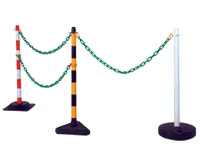 The water bases, posts and chains are ideal in any number of outdoor situations inclusive of delineating parking spots and cordoning off areas that are not accessible to vehicles or pedestrians. The stability of the bases adds to their viability for this use. Companies that have to constantly update their traffic flow plan in their parking lots or simply parking lots that are experimenting with new configurations for more efficient parking can easily utilise this kit. Additionally, store owners that pull chains across their entrance after hours but still need to allow access for goods deliveries can also use these kits as a means of having both a stable based chain system and having one flexible and mobile enough for their needs. The water base 6 post plastic chain kit that is seen here comes designed for both indoor and outdoor use. It comes complete with the pre-assembled posts and chains that span up to 2m in length. The bases are slated to handle being filled with either water or sand. 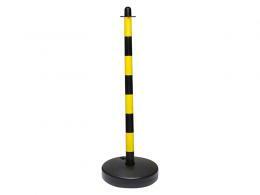 The chain and posts are highly visible, painted in alternating yellow and black for increased visibility. All of these kits come with s-hooks and connectors for easy assembly on the ground.